During the month of February, Councillor Matlow will be hosting two different community meetings that you and Toronto-St. Paul’s residents’ are invited to attend. 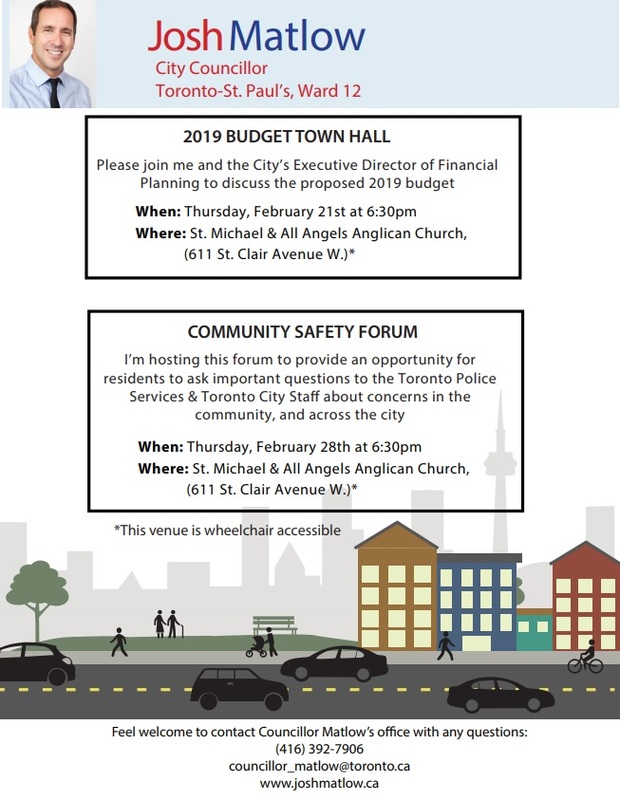 On Thursday February 21st, Councillor Matlow is hosting a budget town hall to discuss the proposed 2019 City of Toronto budget. On Thursday February 28th, he will also be hosting a community safety forum to provide an opportunity for residents to ask important questions to the Toronto Police Service about a number of crime-related concerns that have been affecting our local community, and neighborhoods across the city. City of Toronto staff will also be in attendance.